Virginia Beach Haunted Houses are some of the scariest and best in America! Hauntworld.com rates and review the best haunted houses, haunted attractions, and Halloween evnets in America! 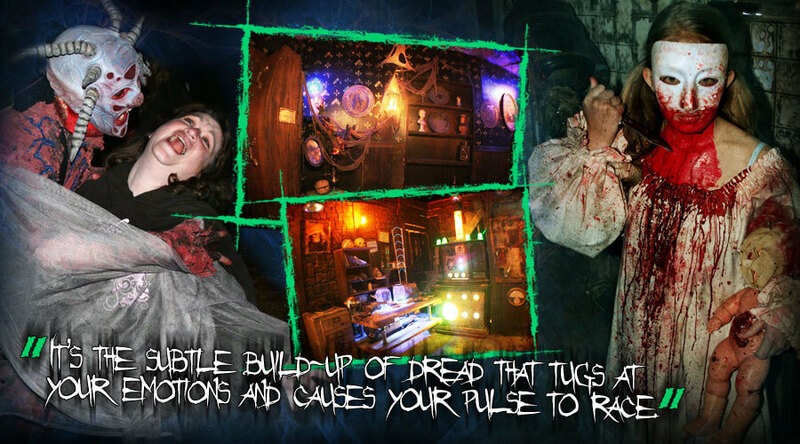 DarkWood Manor Haunted House located in Luray, Virginia is one of the scariest haunted houses in America! Prepare to scream! DarkWood Manor is located in the heart of the East Coast only 40 minutes from Washington DC, and not much further from Richmond Virginia. 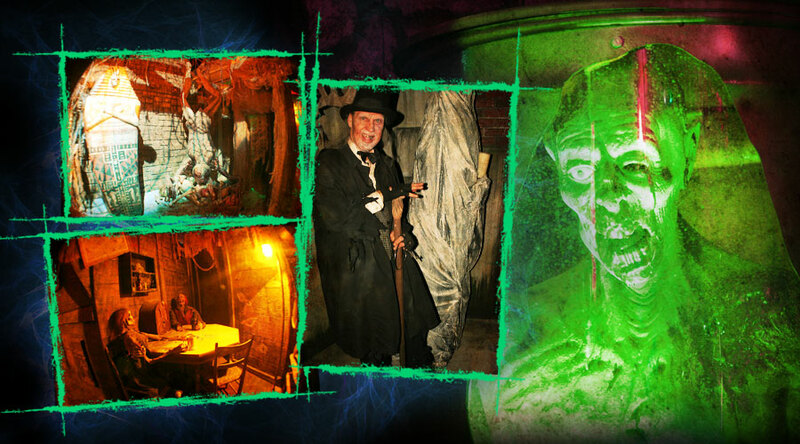 Darkwood Manor is a highly detailed haunted house with the craziest, scariest actors in the entire state of Virgina. Darkwood Manor is clearly the best and scariest and even biggest haunted attraction in Virginia / Washington DC area. Now sit back and read all about Darkwood Estates. Luray Virginia is the home of one of the scariest haunted houses in America called DarkWood Manor. Virginia has many incredible haunted houses and Hauntworld rates and reviews the best haunted attractions in America. Hauntworld can help you find hundreds of haunted houses in Virginia and America . Absolutely nothing comes close to a cool, October evening in the Commonwealth of Virginia. Walking outside one can see flickering lights from jack-o'-lanterns causing eerie shadows to dance across neighborhood porches. It’s in that moment when things finally seem back in their right place. No wonder Virginia happens to be the birthplace of Halloween in America. If you travel up the twisted spine of Virginia, otherwise known as the Shenandoah Valley, you’ll discover a haunted attraction that takes the basic concept of evoking scares and nightmares, and approaches it from a more artistic perspective. 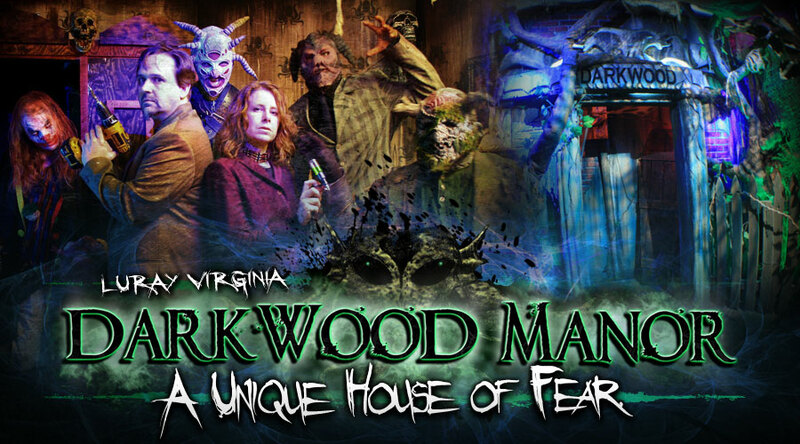 Tucked inside the rural mountain town of Luray, home of the world famous Luray Caverns & the Shenandoah National Park, there sits an ultimate fear provoking haunted house attraction called DarkWood Manor. This haunt has been making a name for itself as one of the top haunted attractions in the state. Since 2001, Louis and Wendy Brown, the creators of DarkWood Manor, constantly seek new ways to transport their audiences into another world. By applying artistic disciplines to the design of DarkWood Manor, they’ve created an interactive and theatrical show that absolutely captivates their haunted house patrons. The attention to detail and artistic design principle does not stop at DarkWood Manor's sets. It’s also carried over into the make-up and costume elements of the attraction. The journey began in the late 1990’s, after Louis, an art school graduate, started investigating what haunted attractions had become since his last experience with them decades earlier. He realized modern haunted attractions could be more than black plastic and strobe lights with people jumping out to yell “BOO.” After Louis realized what incredibly immersive, interactive, theatrical experiences could be created within a haunt, he jumped into the industry eager to bring his artistic perspective to the design of his own attraction. "I feel the goal of most art work is to elicit an emotional response from its audience and that’s exactly what haunted attractions seek to do as well. That’s how I approach the creation of DarkWood, as an installation art piece designed to evoke a specific set of emotions. Coming up with new and interesting ways to do this is at the heart of any artistic endeavor." 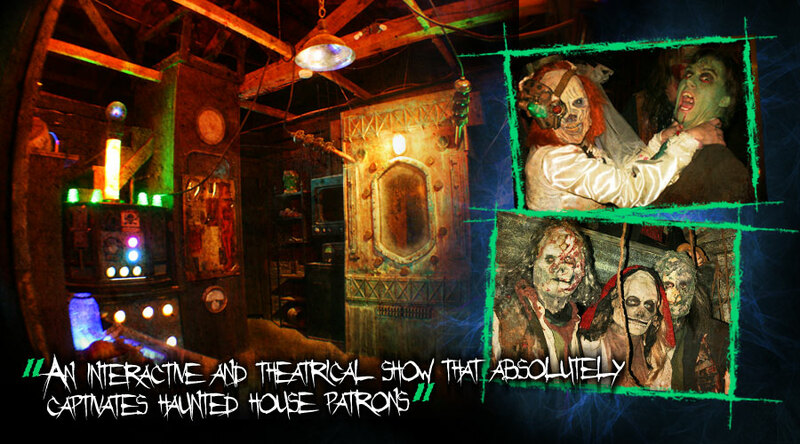 The Browns along with the entire haunt crew behind DarkWood Manor have grown the attraction over the last 13 years while always maintaining their theatrical principles of great acting, realistic make-up, amazing costumes, highly detailed sets, and a strong backstory. I asked Louis how his artistic approach influenced the average haunt customer's experience. As many haunts around the country fail to recognize their patrons' desire for a more unique group experience, the artists behind DarkWood Manor are continuously pushing the boundaries of their vision to bring their customers a unique haunting experience. This esoteric thought process is the reason why they’ve been able to create a loyal fan base that visits every October. Inside the walls of DarkWood Manor, you’ll find inspirations ranging from HP Lovecraft and classic gothic horror to Doctor Who and David Lynch. The DarkWood crew makes it a point not to fill the hallways and rooms with run-of-the-mill cliché horror monsters. All creatures roaming the attraction are unique to the haunt, and many times only used for one season. All masks, props, costumes, and sets are custom made to fit that season’s storyline. Louis describes DarkWood Manor as an “ever changing canvas,” with each season’s design process starting with a new theme and then evolving out of that initial idea. Artists thrive by listening to their intuition. An overly imaginative mind, especially one dedicated to the craft of haunting, can think of some truly terrorizing ideas. For Louis, the trick to growing a haunt is in experience and being dedicated to always seeing how far one can push their artistic abilities. One of the greatest aspects of The Scare, whether it’s in a horror movie or a haunted attraction, is the idea of suspense. It’s the subtle build-up of dread that tugs at your emotions and causes your pulse to race. DarkWood Manor thrives at subtleties through their use of these old school principles. For DarkWood, the devil is in the details. After 13 years, Louis doesn’t see DarkWood Manor slowing down, not one bit. “There are always more stories to tell, and always more monsters to create.” The big question is where does DarkWood Manor go from here? Haunters are definitely a special breed. To be part of a haunt like this is like being thrown inside a meat grinder. It can spit you out in pieces. After speaking with Louis, I’ve realized haunting requires 2 important aspects… love and passion. This is what haunted house customer’s find when they visit DarkWood Manor…A haunt crew that puts everything they have into their artistic vision and refuses to compromise, and all of it done with the goal of sending customers screaming out into the night on a few of those cool, October evenings in Virginia.